Starting today, Pro Evolution Soccer fans will be able to get their hands on the latest version, PES 2019. A new demo has launched on the game’s respective marketplaces, which gives players a chance to try various modes, and preview the new mechanics. 12 teams are available in the demo, including Liverpool FC, FC Barcelona and Inter Milan, along with national sides, Argentina and France. The demo includes several features, including exhibition match, offline co-op, and online quick matches. Two stadiums are available: FC Barcelona’s Camp Nou, and FC Schalke 04’s VELTINS-Arena. Konami is boasting several new features debuting in PES 2019. This includes Visible Fatigue, and improvements to the shooting mechanics and ball physics. There’s also a new visual effects technology Konami is calling “Enlighten,” and PES 2019 will also have 4K support on all available platforms. 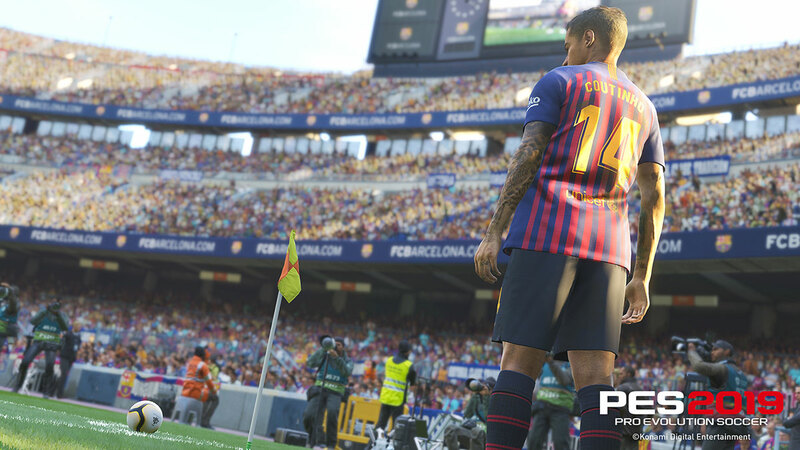 Despite losing a major license earlier in the year, Konami is still asserting that PES 2019 has the most licenses the series has ever had. To that end, the myClub mode is getting a major revamp, with a totally new visual design for the cards. Phillipe Coutinho is the standard edition’s cover star, and a limited edition features David Beckham. PES 2019 is scheduled to launch on August 28, for PlayStation 4 and Xbox One. On August 30, the game hits PC via Steam.